Summer Social Anxiety CBT Group: May 11th - August 10th. The next groups begins September 2013. Your decision to actively and gently work on overcoming social anxiety will change your life. 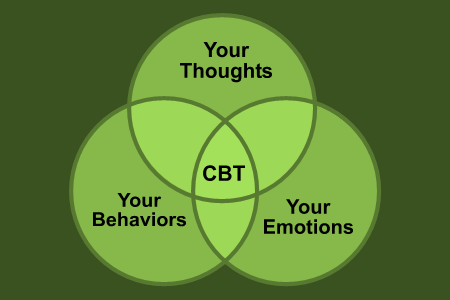 Our therapy groups are active, structured cognitive-behavioral groups. Everyone in the groups has social anxiety and is working to overcome it. Participating in the group is much easier than you expect. There is never a rational reason to be anxious about participation in the group. Please remember that Dr. Richards lived with social anxiety for 40 years, so he understands how to run a group without causing you anxiety or embarrassment. You are never singled out, called on to answer question, or made the center of attention. You must be ready to do these things. The group operates on a VOLUNTEER basis. When you're ready, you volunteer to answer questions, read publicly, or any other activity we do. You are never pressured, forced, or coerced into doing anything. Therapy will not work if it was handled in this way. People are usually relieved to find an entire group of people who have social anxiety just like they do. The realization that you are not alone is very motivating. People fit in the group fairly quickly and make acquaintances and friends faster than they expect. 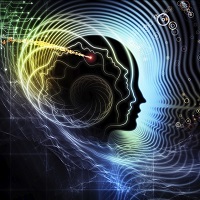 The Social Anxiety Institute is the only treatment institute in existence that specializes in social anxiety disorder. SAI has been running comprehensive, successful programs, both nationally and internationally, since 1994. Dr. Richards is the leading clinical authority on social anxiety disorder. Needed for admission: Progress on the cognitive audio therapy sessions, motivation to overcome social anxiety, a commitment to the group, and a willingness to cooperate in your own and everyone else's progress. 1. A completely filled out application for the program. The application is linked from the right-hand column of this page and must be completed fully. Dr. Richards reads over every application received. After receiving the completed application, we will e-mail you concerning questions/problems and scheduling for individual appointments that precede the group. A completed application for the program must be submitted, received, and reviewed before we will contact you about diagnostic and individual appointments. 2. A diagnostic appointment and two individual appointments with Dr. Richards are needed. These appointments are necessary for assessment purposes to insure you meet the clinical definition of social anxiety disorder according to the DSM-IV, and to fully understand what a cognitive-behavioral group for social anxiety involves. During these individual sessions, we also talk about the therapy, the group, and anything else you may have questions about. You can schedule additional appointments with Dr. Richards if you want to. Insurance may be used for individual and group appointments and a sliding fee scale exists for accepted group members. 3. The group uses the audio therapy series "Overcoming Social Anxiety: Step by Step", which can be purchased online or at the office. Each week we discuss and make practical use of each of the cognitive therapy methods explained on the audio series. Having this on your mp3 player allows you to be repetitive with the therapy and makes your progress against social anxiety more effective and quicker. Follow this link (above) to see how the day is planned out. Note on fees: We want to help everyone we can. We want you to feel comfortable about coming back as much as needed until you overcome social anxiety altogether. This is our goal, and you will meet and hear from people who have gone through the therapy, overcame social anxiety, and moved forward with their lives. To make it easier for people with social anxiety to participate in therapy, you may use (a) the regular fee schedule or (b) the sliding fee schedule, according to financial need. Depending upon your mental health care insurance, you should be entitled to benefits. If you use insurance, the regular fee schedule must be used. Insurance may be used for individual and group appointments and a sliding fee scale exists for accepted group members. People with social anxiety disorder tend to get discouraged too quickly. Please keep this in mind with regard to insurance or other available options. Insurance companies may not tell you the truth concerning your coverage, as they spend a certain percentage of their profits trying to discourage claims. But contractually, you may be covered. It pays to bug them or have someone else bug them for you. Please note: These social anxiety groups are for people who are functional, in the sense that they are currently able to work or going to school/college. Getting out of the house every day is crucial to using the cognitive strategies we learn and practice in the group. Dr. Richards will see people individually if they have a more avoidant case of social anxiety (e.g., are not currently working or going to school/college due to high amounts of anxiety), to prepare them eventually for entrance into the CBT group. In addition to having social anxiety himself, Dr. Richards has twenty years of experience dealing with social anxiety and all its related symptoms. We do not think there is another psychologist anywhere that has been running continuously operating CBT groups for overcoming social anxiety. The Institute is unique in this regard. A full treatment program has always been in existence at SAI and continues to this day. The all-day session includes: cognitive review, questions, and reinforcement. Behavioral activities are also included, in which we gently move up your anxiety hierarchy, at your own pace and completely under your own direction. 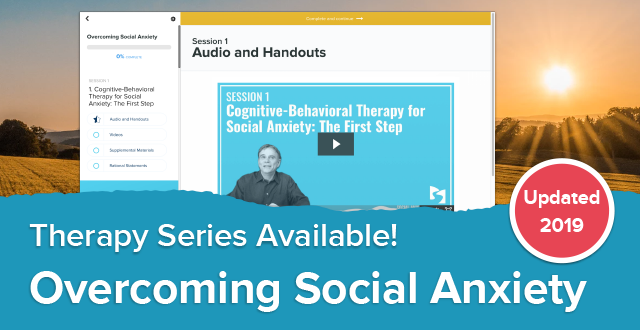 You will be using the cognitive audio therapy series on a daily basis and reviewing it in the Saturday group with Dr. Richards. Returning People: Once you have finished your first group, and you wish to return to keep working on your behavioral activities, we encourage you to keep attending until you feel you have overcome social anxiety altogether. At present, the returning fee schedule is low, and can still be paid by insurance or sliding fee schedule rates. Donors and Sponsors: To introduce and continue to keep this low therapeutic rate, we are dependent upon generous donors and sponsors. At present, these people wish to remain anonymous, but we want to thank them for their generosity in pushing therapy rates down. We can only guarantee therapy fees will remain this low for the current sessions. International Groups: Each year, we are happy to sponsor intensive therapy groups for people, all around the world, who want to overcome social anxiety. These usually occur in the spring and summer, and add a great deal to our Saturday groups. All information about social anxiety and our programs is on this website. History of the Audio Series "Overcoming Social Anxiety: Step by Step"